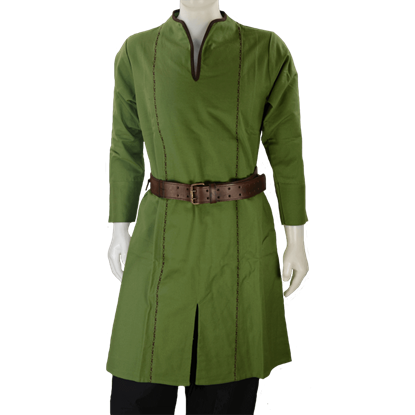 Our Childs Elven Tunic is suitable attire for archers and swordfighters who make their home in an enchanted woodland. 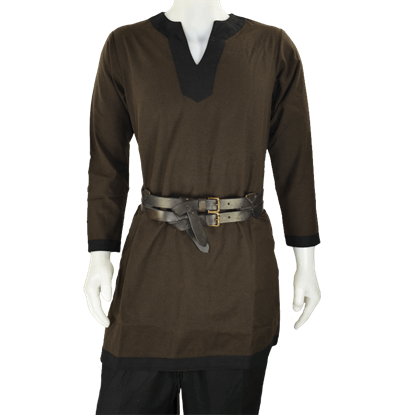 This long-sleeve tunic goes with a variety of looks, perfect for the roleplay wardrobe of a young adventurer. 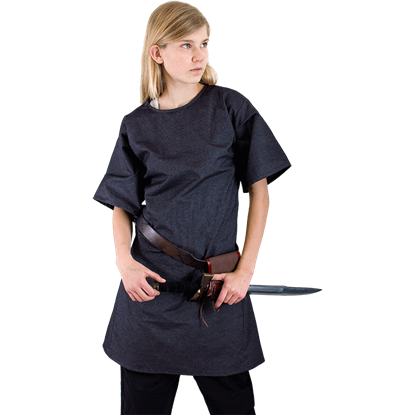 This Kids Medieval Tunic is a must-have for any child re-enactor wardrobe. This versatile piece can be worn by boys and girls with just about anything. The neckline, sleeves, and bottom of the garment are trimmed with contrasting colors. 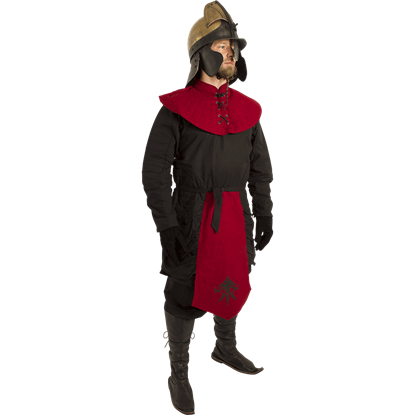 Showing off dramatic black and red coloration, the Ratio Tunic is a padded, long-sleeved coat covering the torso from neck to hips. 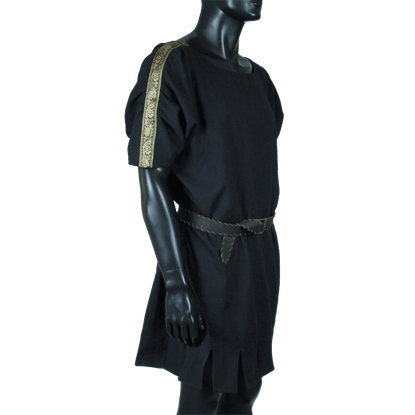 The padded tunic can be worn on its own or serve as armour padding under mail or plate armour. The sleeves on the Roman Tunic are the real eye catcher, with a gold and black jacquard trim and the fabric slightly gathered into the hem. 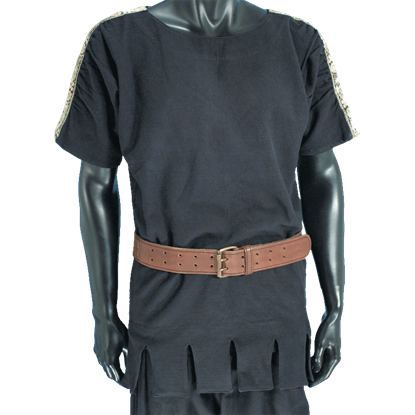 The Roman Tunic is made of a light to medium weight cotton that is woven to look like linen.